Saiba Varma's piece titled "Attending to the Dark Side of Medicine" has been published on the Anthropology News website. Most scientists have assumed that the islands of Alta and Baja California were marginal for Native habitation even before European contact. 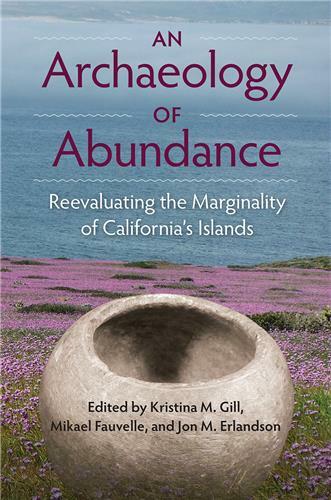 “An Archaeology of Abundance,” a book co-edited by Anthropology doctoral student Mikael Fauvelle, reevaluates this long-held belief, analyzing new lines of evidence to show that California islands were once rich in resources important to human populations. 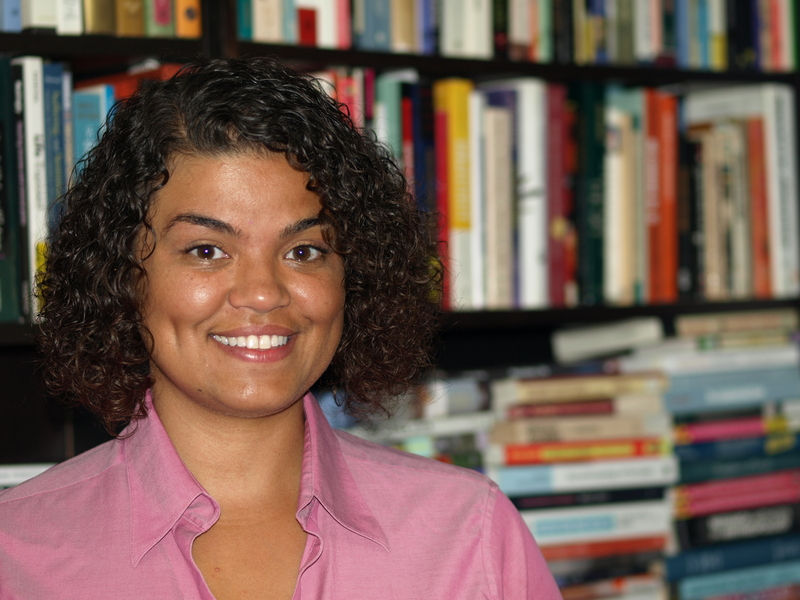 Join us in congratulating Assistant Professor Hanna Garth for being one of 10 junior faculty members who received a 12 month Career Enhancement Fellowship by the Woodrow Wilson Foundation. Prof. Robert McCormick Adams was an adjunct professor at UC San Diego and was the most impactful 20th century archaeologist working in the Middle East, Secretary of the Smithsonian Institution and much more. 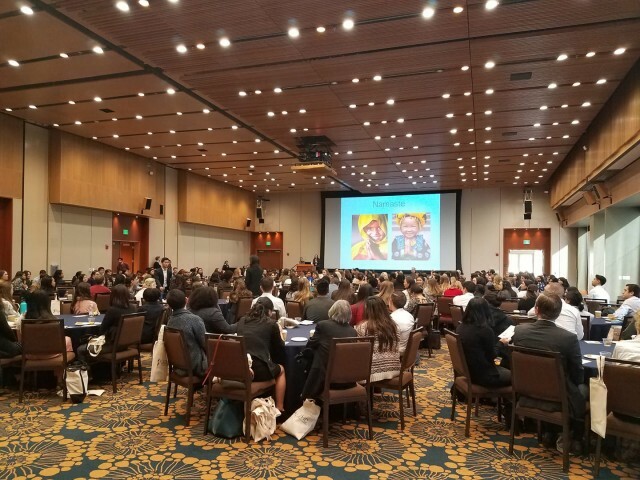 Hear what Saiba Varma had to say about the future of global health at the Los Angeles Global Health Conference. "Ghosts in the Ward: Hospital Infrastructures and their Hauntings"
Saiba Varma and Emma Varley's co-edited special issue on haunted hospitals in Medical Anthropology is out! 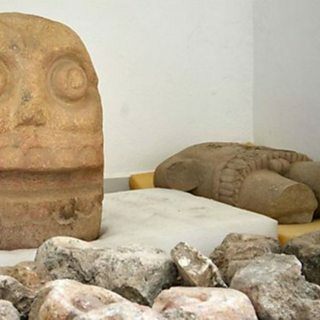 "Ghosts in the Ward: Hospital Infrastructures and their Hauntings"
Archaeologists in Mexico have discovered the temple of an pre-Aztec God known as the 'Flayed Lord'. The traditional diety was called Xipe Totec and Priests worshiped the God wearing the skin of human sacrifices. Items relating to the deity were discovered at a site in Puebla state, and are believed to date from 900-1150 AD. Geoffrey Braswell, Professor of Anthropology at the University of California San Diego, tells us more. Maya Azarova, a doctoral candidate in Anthropology and an affiliate of the Design Lab, has won a Chancellor’s Research Excellence Scholarship to investigate the backstage of innovation. The goal of Azarova’s project is to explore how teams comprising of individuals from various disciplines create new technologies. The 60 Minutes team has been covering wildfires in the west for years. They explain how they find facts while being sensitive to the dead and missing. UC San Diego's Melanie Beasley is shown in this clip helping to recover bone fragments of bodies lost in the fires. 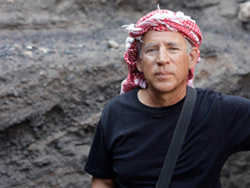 According to a social network analysis from the University of Toronto, UC San Diego's Tom Levy is a key player in Middle Eastern archaeology. He's not only the most connected scholar in the field, he's also the only one in the top five to be U.S.-based, too. With the climate changed, the people of ancient Asia responded by investing - in crop diversity, trade and a large public project. That may have helped them adapt and survive, suggests a new paper by Jade d'Alpoim Guedes. UC San Diego students typically travel overseas to conduct archaeological fieldwork. This summer, one group stayed in San Diego County, however, to analyze prehistoric sites on sovereign tribal land in partnership with the La Posta band of Kumeyaay Indians. The fieldwork was led by UC San Diego's own professor of Anthropology, Paul Goldstein. In Latin America, at least 560 Indigenous languages are spoken by 780 different tribal and ethnic groups. Speakers of these languages who don’t also speak Spanish have an even harder time at the U.S. border than other migrants. John Haviland of Anthropology, who provides Tzotzil interpretation services for Homeland Security, court proceedings and medical situations, speaks with High Country News, a nonprofit media organization reporting on the American West. 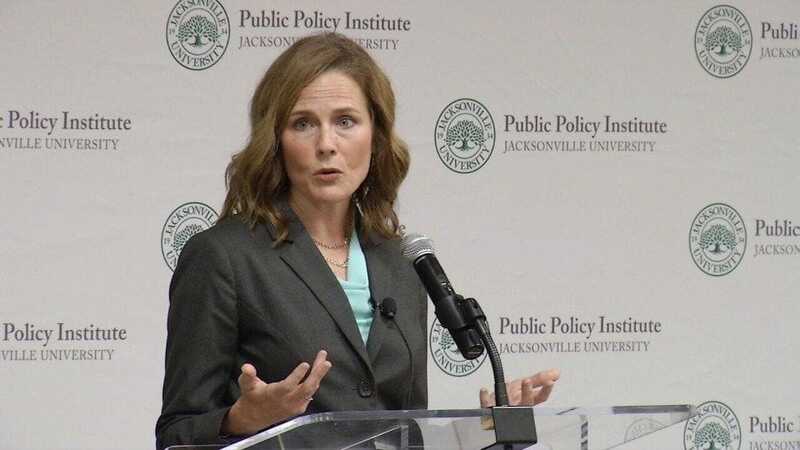 When Judge Amy Coney Barrett’s name was floated as a possible nominee to the U.S. Supreme Court, the Washington Post (linked above) and Slate sought the expertise of Tom Csordas of Anthropology and Global Health, a leading scholar on Catholic charismatic groups. Csordas said the same communal impulse that generated the hippie communes of the 1960s fueled religious groups like People of Praise at the same time. The separation of immigrant children from their parents made waves across the nation. President Trump signed an executive order to end the policy however ending this policy is not enough. 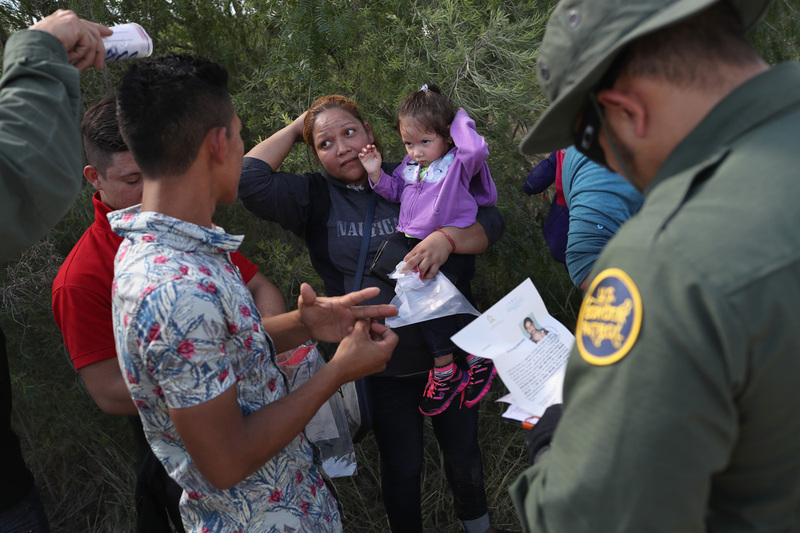 Read Associate Professor Amy Non’s op-ed published in the Times of San Diego on the epigenetic effects of family separations. Why do people fish in San Diego Bay even when they know their catch may be contaminated? David Pedersen of Anthropology will be working on that question and more with Theresa Talley of Scripps Institution of Oceanography. 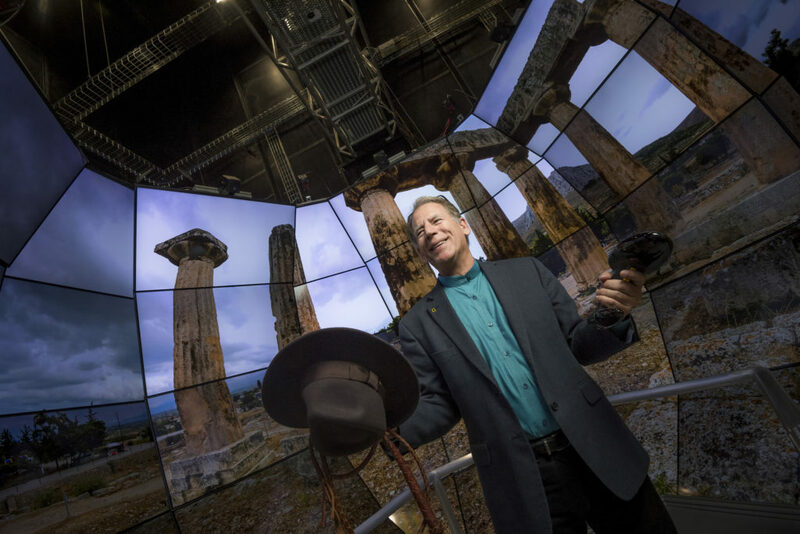 Check out the story of our very own "Indiana Jones", Professor Tom Levy, posted in the Triton magazine! Indiana Jones with a laptop. That’s how one writer described archaeologist Tom Levy. But for a more complete picture, add reams of data and a drone. 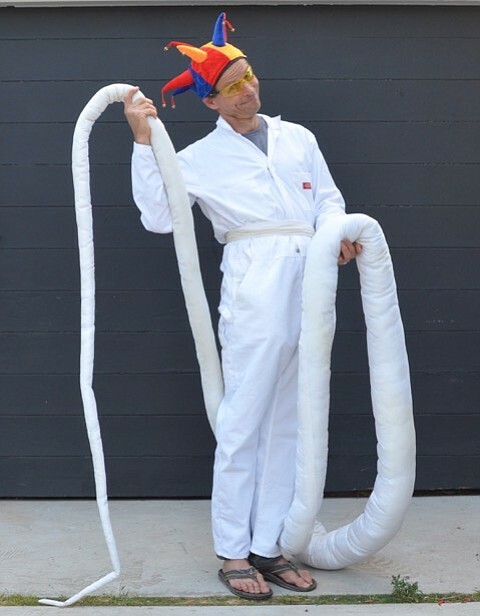 Instead of a fedora, swap in a scuba mask or a checkered keffiyeh wrapped around his head. Or you can imagine him as he was dressed on the day of this interview, in sweats and sneakers, just before a visit to the gym. Charles University in Prague, founded in 1348, has bestowed an honorary doctoral degree on Thomas Levy of Anthropology. Local newspaper Lidové Noviny ran a feature story on the proceedings, complete with a photo of Levy in ceremonial robes. 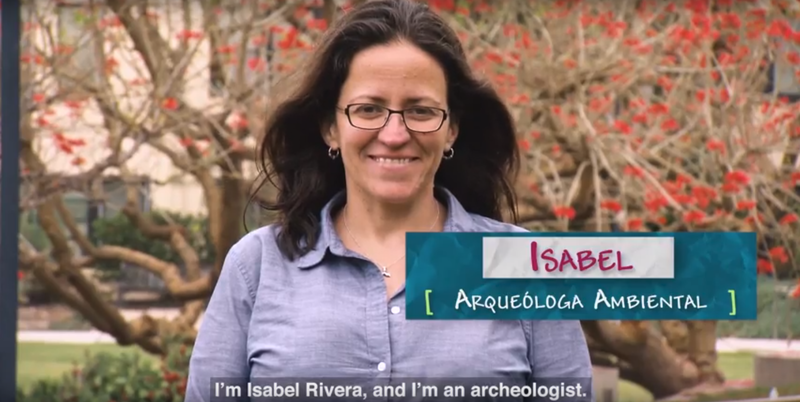 Isabel Rivera Collazo of Anthropology was interviewed for the PBS show SciGirls as Role Model. SciGirls aims to get tween girls, ages 8 to 12, interested in STEM. Each episode follows a group of middle school girls who are eager to find answers to their questions while inspiring kids to explore the world around them and discover that science and technology are everywhere. The girls, with the help of scientific mentors, design their own investigations on topics ranging from the environment to engineering and nutrition. The show's website is integrated into the episodes with archived projects from the site being featured on the show. This year it also broadcasts 3 minute videos of Role Models and is tailored for Hispanic Communities (this year the series is in Spanish). Archaeology has provided precious little evidence for the biblical account of a powerful Judaic kingdom 3,000 years ago, but the sheer extent of copper mining in Timna, when Egypt was in a state of collapse, is otherwise hard to explain. Prof. Thomas Levy with Dr. Mohammad Najjar of the University of California found a scarab in Timna with the saying "Bright is the manifestation of Re, chosen of Amun/Re". Amy Non of Anthropology was among the faculty receiving Hellman Fellowships, which support the research and creative endeavors of junior faculty. Non will use her Hellman Fellowship to investigate whether the children of Hispanic immigrants are aging faster due to stressors such as poverty or discrimination. The female reproductive system and jungles of Africa face foreign invaders. In this episode, we follow San Diego scientist Pascal Gagneux through these environments, and find out more about their intruders. Check out the fascinating interview on KPBS Rad Scientist Podcast! 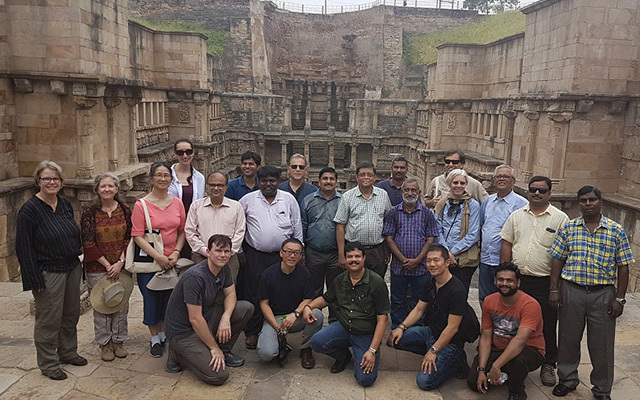 Tom Levy of Anthropology traveled to India for a conference sponsored by the National Geographic Society, the Archaeological Survey of India and India’s Ministry of Culture. Levy is also mentioned in a Berkeley blog post, this time for his role in a digital, UC-funded project to preserve at-risk cultural heritage sites. We are delighted pass on the news that the American Ethnological Society has selected Jon Bialecki as a winner of the 2017 Sharon Stephens Book Prize for a scholar's first book. Jon earned his Ph.D. in Anthropology here at UC San Diego, and is currently a popular Lecturer in the department. 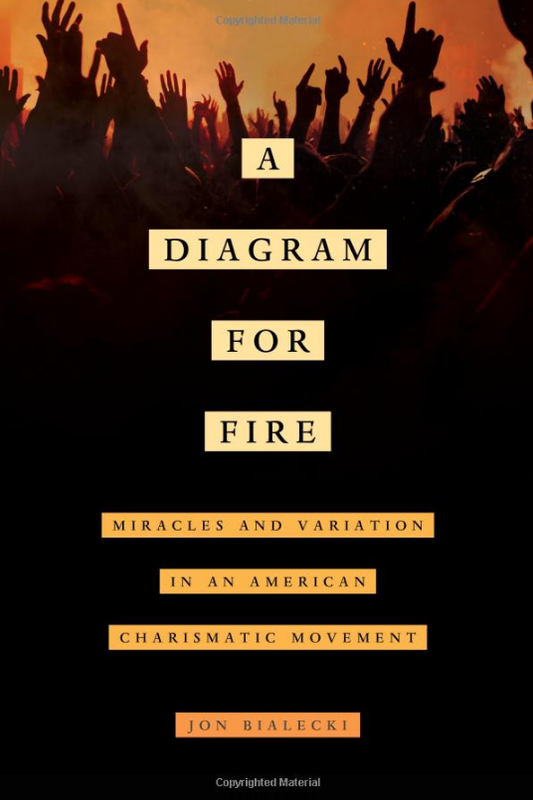 His book is entitled A Diagram for Fire: Miracles and Variation in an American Charismatic Movement, and is published by the University of California Press. 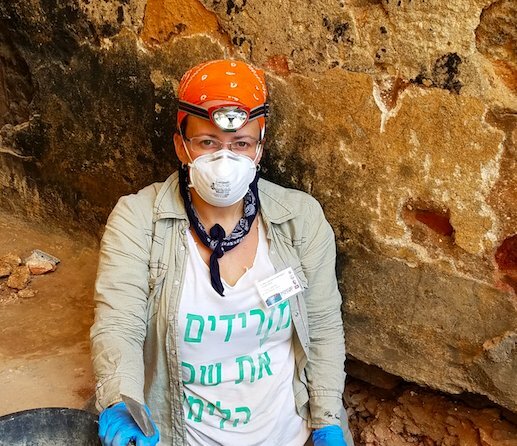 Anthropology Professor Isabel Rivera-Collazo says that Hurricane Maria struck a sensitive archaeological site that she and other researchers were studying when the storm hit Puerto Rico on Sept. 20. 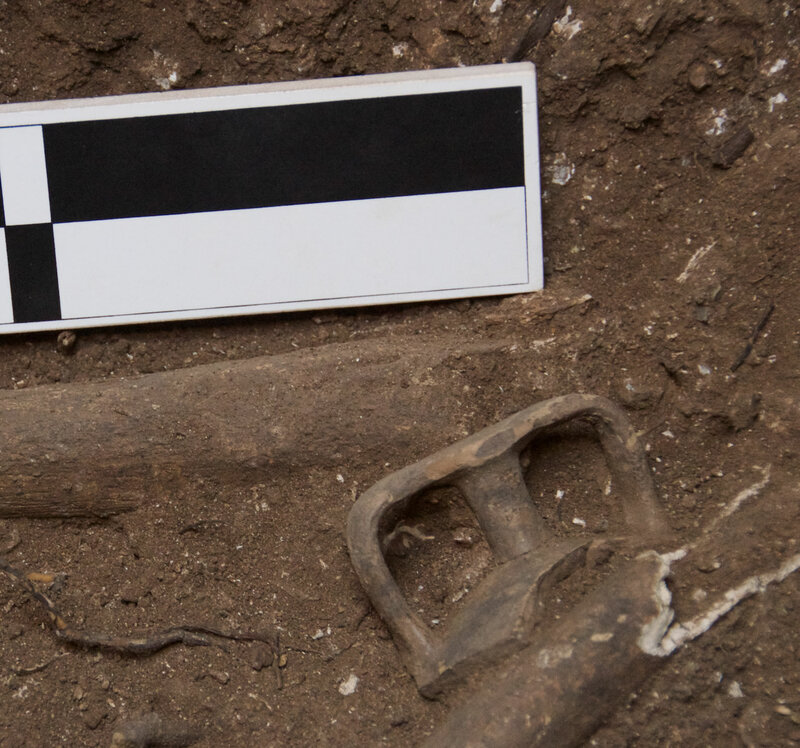 The expedition, led by UC San Diego Department of Anthropology professor Thomas E. Levy, involved a land-and-sea approach to understanding trade and exchange during Biblical times, at sites dating to the Iron Age, circa 1200 to 586 BC. 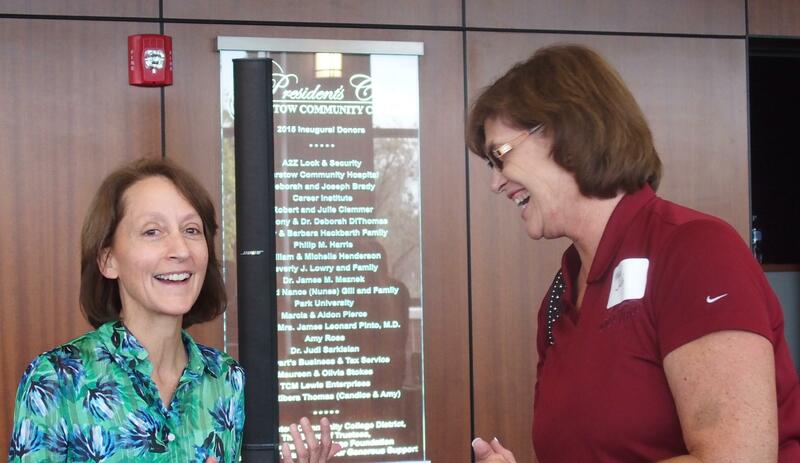 Anthropology Ph.D. alumna Eva Bagg is the new superintendent and president of Barstow Community College. Anthropology graduate student Brady Liss and his classwork with the UC San Diego Big Pixel Initiative was included in a Google Earth and Earth Engine blog post. Janis Jenkins and graduate student Ellen Kozelka of Anthropology publish a letter in The Lancet. KPBS took a look at the region’s efforts to support marine archaeology, including the recent launch of an effort co-led by the Division of Social Sciences, the Scripps Center for Marine Archaeology. Thomas Levy of Anthropology is co-director. 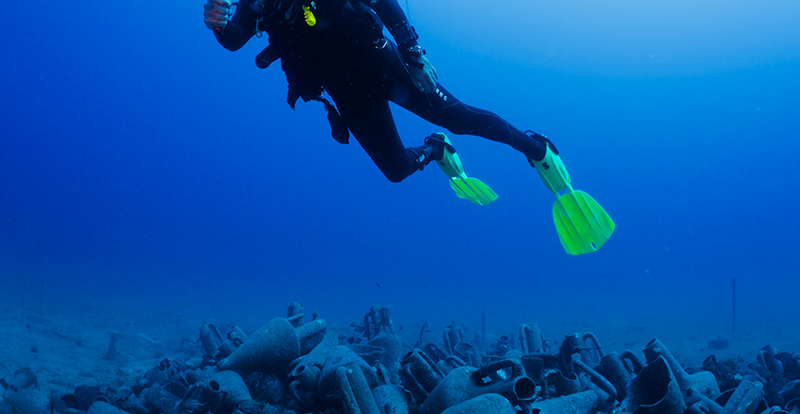 He discusses plans to explore a submerged Israeli port that might have been an important trade hub during the time of kings David and Solomon. 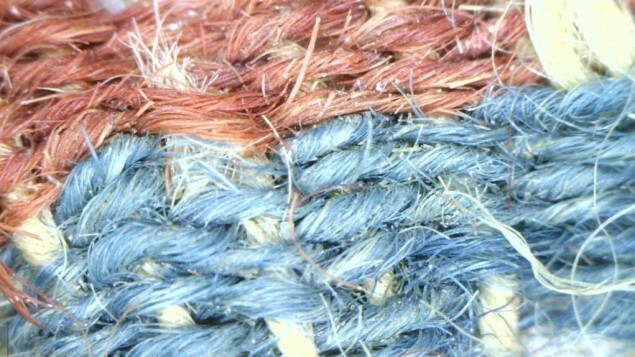 Excavations of copper mines find earliest Israeli traces of dye used for prestigious garments for skilled workers. Researchers excavating what was believed to be a completely looted ancient Greek tomb have discovered 15 adult and two juvenile human burials, as well as artifacts dated to a period just before the collapse of Mycenaean society during the late Bronze Age. It’s a laboratory that looks like a cross between a classroom and a tech pavilion at the annual Consumer Electronics Show in Las Vegas. There are virtual-reality headsets everywhere, and large, flat-screen 3D displays. 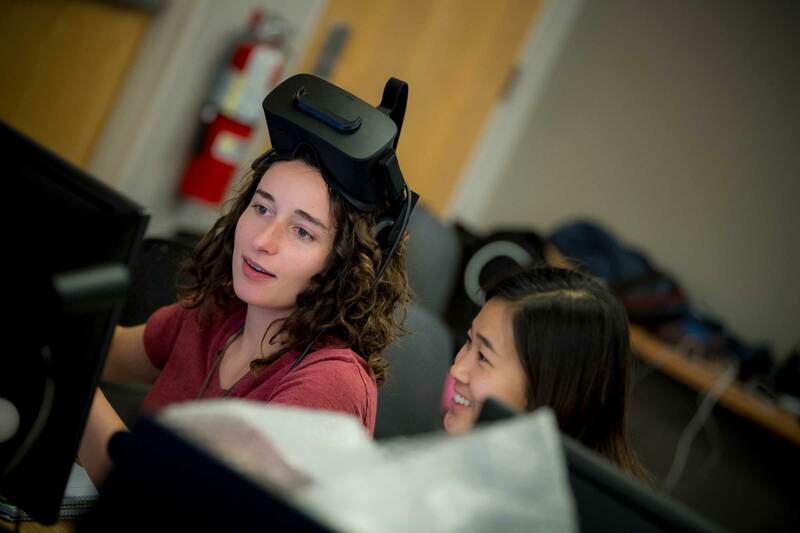 College students work at computers, while teammates wearing goggles look from side to side, occasionally ducking or recoiling, as they react and engage with the virtual environments visible in their head-mounted displays. Somewhere in the at-risk ruins of Khirbat en-Nahas in the Faynan region of southern Jordan lie untold stories of copper mining and smelting industries from the time of David and Solomon and the Edomite kings. Stories that, until now, could only be told in words, maps and photographs. 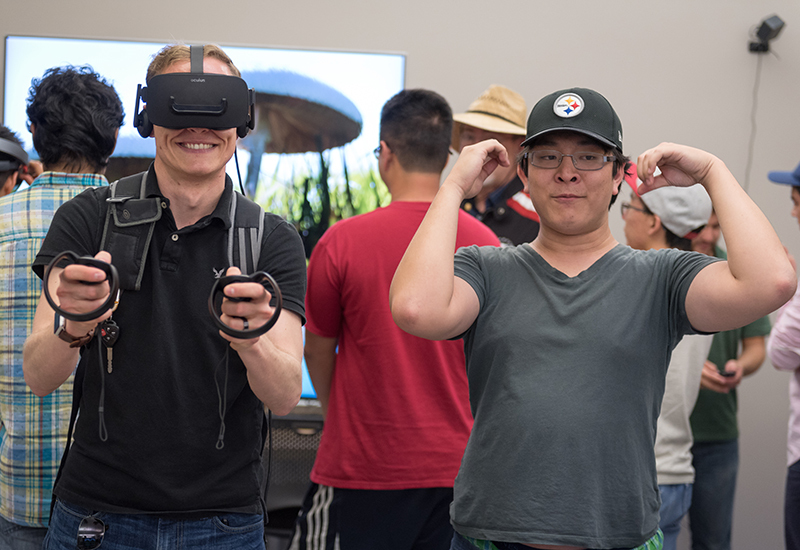 Thanks to UC San Diego engineering and archaeology students that teamed up for the world’s first cyber-archaeology hackathon, the story of King Solomon’s copper mines now exists in virtual reality. 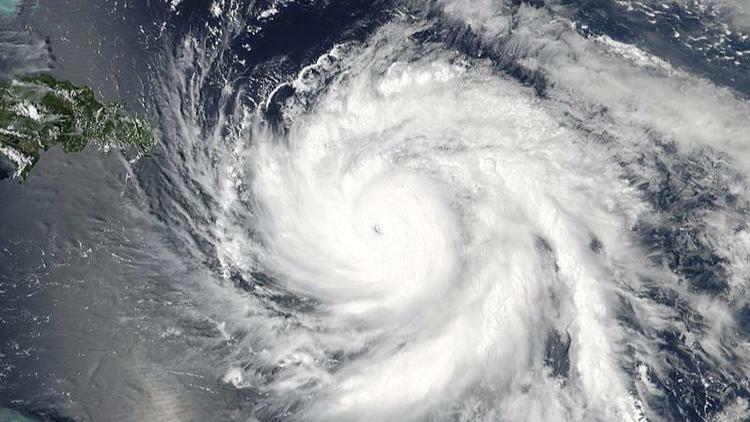 How are modern day humans adapting to climate change? To find the answer, archaeologists are studying how human societies have responded to environmental changes in the past.Isabel Rivera-Collazofocuses on understanding human resilience and adaptation to past environmental change as a lens through which we can view the future. Finding answers involves diverse disciplines, including archeology, anthropology, geomorphology, ecosystem dynamics and climate science. Join us to learn how her work at Scripps Oceanography and in UC San Diego's Department of Archeology are changing the way we view climate change and its impacts on society. Manure preserved for millennia by the arid climate of Israel’s Timna Valley is adding fresh fuel toa long- simmering debate about the biblical king Solomon and the source of his legendary wealth. Roy D’Andrade, 84, played an important role at UC San Diego as one of the founding members of the anthropology department, as a strong advocate of research bridging traditional disciplinary boundaries, and as a founder of the field of cognitive anthropology. The Geisel Library virtual reality CAVEkiosk is one of four planned for University of California campuses at San Diego, Berkeley, Los Angeles and Merced. 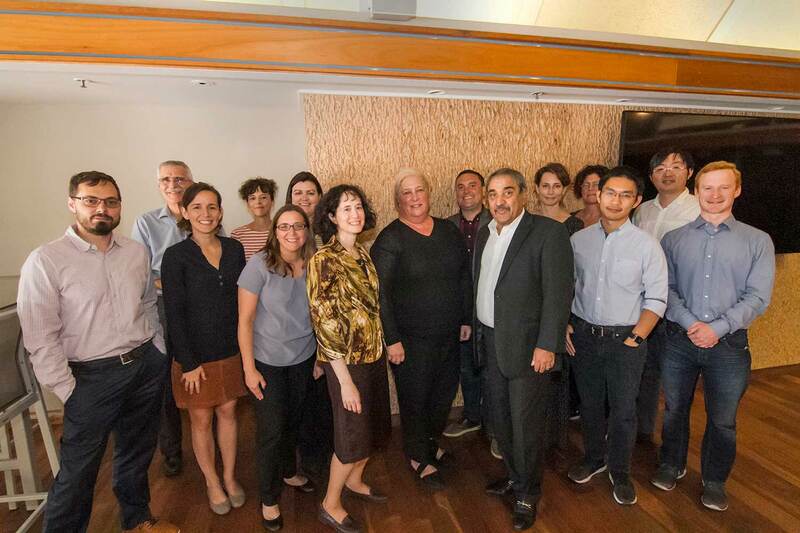 All are partners in a UC collaboration led by anthropologist Thomas Levy, director of the Center for Cyber-Archaeology and Sustainability (CCAS). Four of the 2016 recipients are from the Division of Social Sciences. 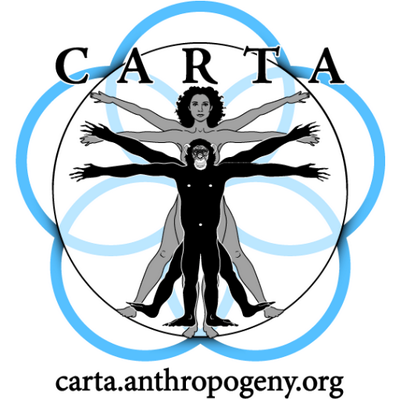 Co-directed by Margaret Schoeninger of Anthropology, the Center for Academic Research and Training in Anthropogeny (CARTA) will administer the research fellowships. 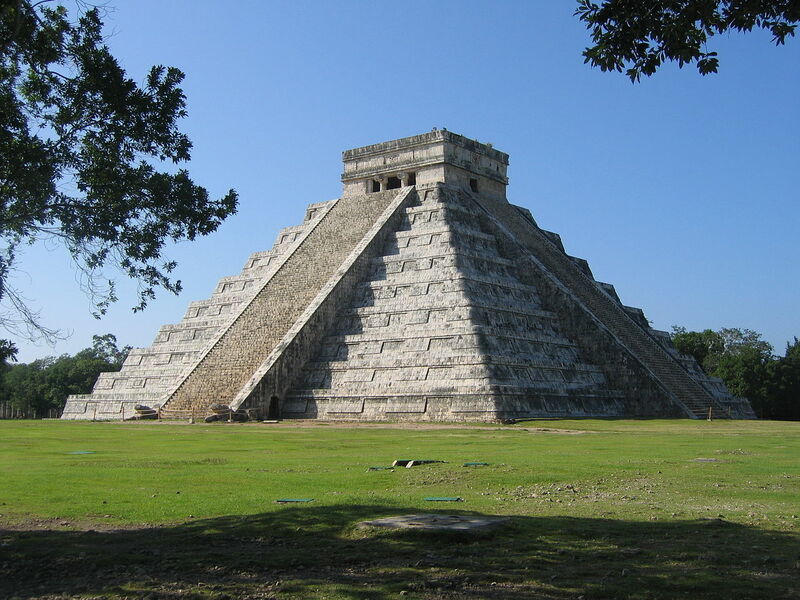 The Associated Press sought the expertise of Geoffrey Braswell of Anthropology about an archaeological find at Chichen Itza, where Braswell has previously conducted research. He compared the pyramid – discovered within two other structures – to a Russian nesting doll and said it might be new or it might have been detected in the 1940s. The story appeared in the New York Times (linked above), CBS News, the Huffington Post, the Daily Mail, Vice and the San Francisco Chronicle, among many others. The university’s iconic, futuristic spaceship of a building, Geisel Library, will unveil its first virtual-reality 3-D display system during a public reception on Monday, Nov. 7, from 10 a.m. to noon. 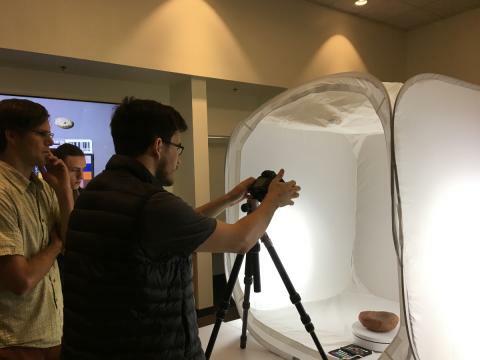 The CAVEkiosk will be open to the campus community and the public at large, and it will also allow researchers to analyze and visualize 3-D data from at-risk archaeological sites in Egypt, Turkey, Jordan, Israel, Greece, Morocco and Cyprus. The kiosk is part of a UC collaboration led by Tom Levy of Anthropology. 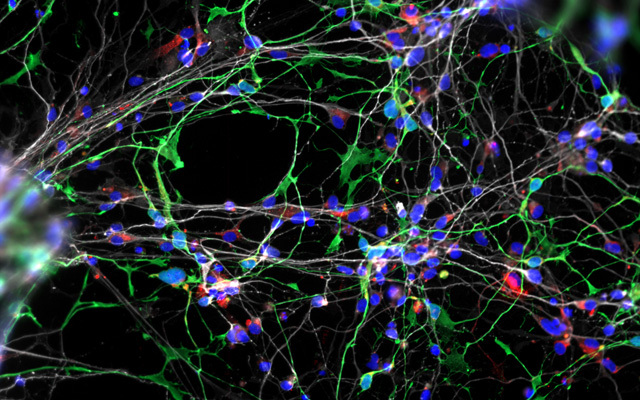 Neurodevelopmental study on Williams Syndrome may give clues. Research on the rare genetic condition, which produces individuals with extremely sociable personalities, may also shed light on biology and behavior of persons with autism and other social disorders. 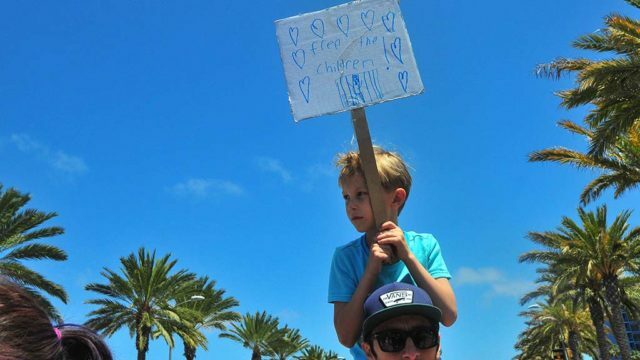 Coverage of the Nature paper – by Katerina Semendeferi of Anthropology, and students Branka Hrvoj and Kari Hanson, along with colleagues at UC San Diego Health Sciences and the Salk Institute – included Live Science, Daily Mail and Times of San Diego. The San Diego Union-Tribune highlights environmental archaeologist Isabel Rivera-Collazo of Anthropology, who studies coastal communities and how people respond to climate change, and Philip Guo of Cognitive Science, who researches human-computer interaction, online learning and computing education. 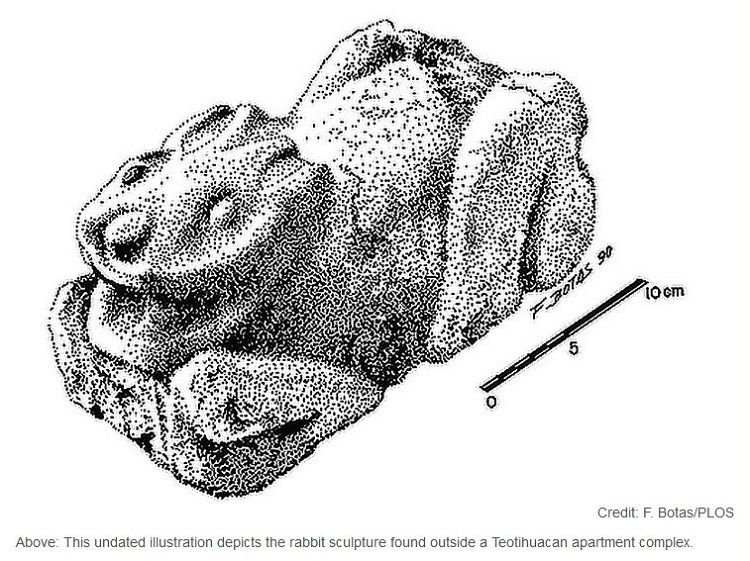 “They were breeding rabbits as a form of specialized labor,” said Anthropology lecturer Andrew Somerville, who led the team of anthropologists that made the discovery. The study, co-authored by Margaret Schoeninger, garnered media attention around the world, including The Daily Mail, the New Historian and the Archaeological Institute of America. Research at the Qualcomm Institute, including work by Tom Levy of Anthropology, is featured in the Union-Tribune. On PRI’s The World, Paul Goldstein of Anthropology weighs in on the Bolivian president’s push to resurrect an indigenous calendar. Starting in the 43rd minute, Goldstein explains the ancient Aymara calendar and the challenges of switching today. Discussing “Cuba’s Julia Child” with NPR, Hanna Garth of Anthropology said the legacy of Villapol is much more than a collection of recipes. The internet was abuzz with a 15-year-old “discovering” a Mayan site, leading Geoffrey Braswell of Anthropology to weigh in. “Mr. Gadoury should be praised for his work, and it is clear that he will have an exciting future,” Braswell said. “Nonetheless, the images that he has shown are not of Maya pyramids.” News organizations around the globe began to update their stories with Braswell’s comments: New York Magazine, Wired, Gizmodo and the Washington Post (linked above), among them. Thomas Csordas and Janis Jenkins of Anthropology are among those working to move mental health from the margins to the mainstream of the global development agenda. 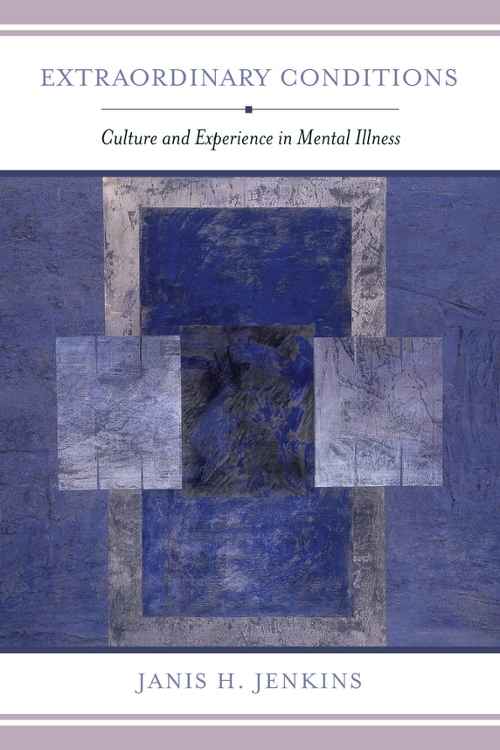 Jenkins served as panel chair for “Conceptualizing Mental Health,” while Csordas served as a panelist for “Context and Mental Health: Culture, Poverty, and Religion,” at a meeting convened by the International Monetary Fund, the World Health Organization, the U.S. National Institutes of Health and Georgetown University. 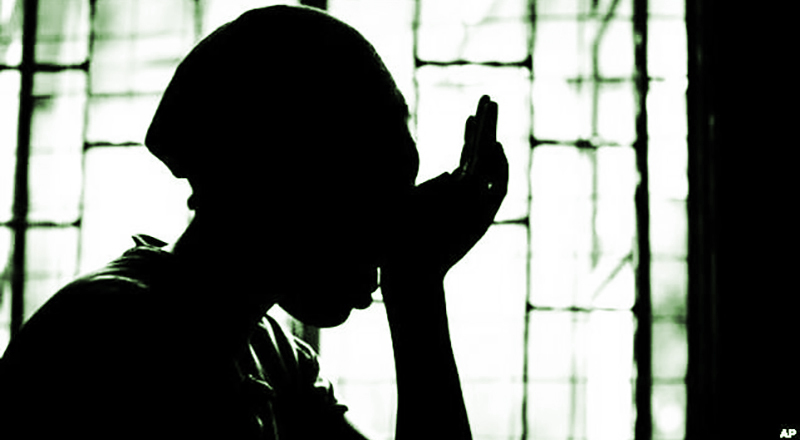 The meeting was held in conjunction with the World Bank’s and World Health Organization’s “Out of the Shadows: Making Mental Health a Global Health Development Priority,” covered by The New York Times and Huffington Post. A team of researchers at the new Center for Cyber-Archaeology and Sustainability led by Thomas Levy of Anthropology has launched a joint online mission to monitor nearly 11,000 archaeological sites located in Syria, Iraq and Lebanon. Did you see or share that viral video of a lemur demanding back scratches? Marni LaFleur of Anthropology, who co-directs the nonprofit Lemur Love, explains to NPR why interacting with wild lemurs is not good for you, or the lemur. LaFleur also spoke with Slate. 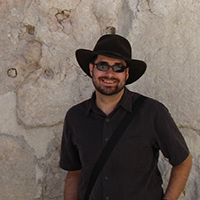 Thomas Levy of Anthropology will receive the CENIC Innovations in Networking Award for Research Applications in recognition of developing and deploying new systems for reconstructing the archaeological record through digital technologies. The Atlantic reports on what big data and technology mean to the study of ancient artifacts, including the work of Thomas Levy of Anthropology. Also, Levy’s new Center for Cyber-Archaeology and Sustainability at the Qualcomm Institute is now partnering with the Israel Antiques Authority. “When intolerant radical ideologies are coupled with modern bombs and bulldozers, the potential for total destruction of heritage sites is unparalleled compared with the past,” says Thomas Levy of Anthropology. A UC Newsroom feature and Forbesdetail how cyber-archaeology research headed by Levy is coming to the rescue. Huffington Post and NPR report on the Maasai Cricket Warriors, the focus of a documentary film that charts the players’ journey from their Kenyan village to their first championship in London. The team was founded by Aliya Bauer as part of her work at the Uaso Ngiro Baboon Project run by Shirley Strum of Anthropology. Hosted in part by the Global Health Program and co-sponsored by Department of Communication, the quarterly Conversations in Global Health event includes Janis Jenkins and Saiba Varma of Anthropology, and Brady Campaign Director Ron Marcus. The conversation starts at 3:30 p.
In addition to The New York Times, Forbes mentions Margaret Schoeninger of Anthropology in reporting that the Supreme Court has declined to hear a lower-court case appeal regarding remains found on UC San Diego property. Anthropology alumnus Michael Lumpkin is appointed the new head of a State Department program on global engagement. Epoch Times features research analysis by Margaret Schoeninger of Anthropology of puma, eagle and wolf remains found in Teotihuacan. 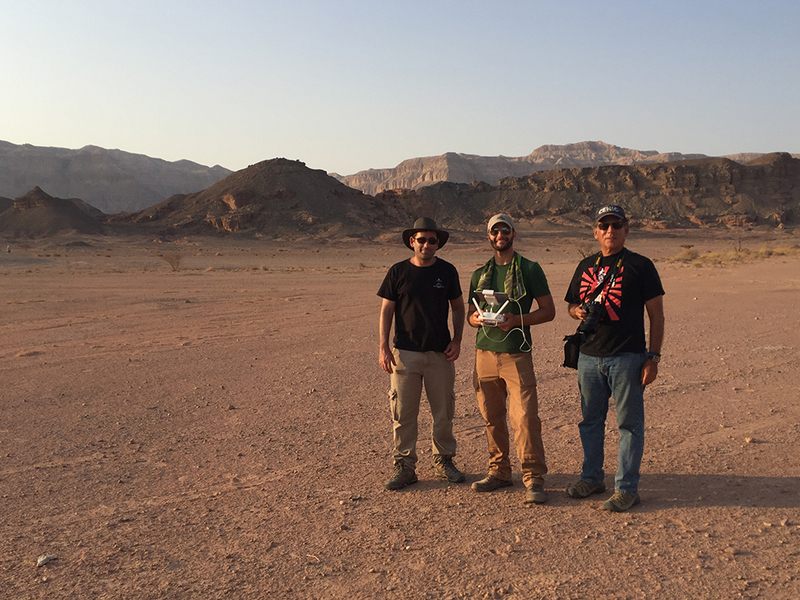 Anthropology professor Thomas Levy, the Norma Kershaw Chair in the Archaeology of Ancient Israel and Neighboring Lands, will lead a $1.07 million project to curate, analyze and visualize 3D data from at-risk archaeological sites in the Middle East. Levy served as a key participant in this year붹s Digital Heritage Conference. The National Academy of Sciences produces a biography of Mel Spiro of Anthropology for its national archives. Anthropology alumnus Harry Helling chosen to lead Birch Aquarium at Scripps Institution of Oceanography. 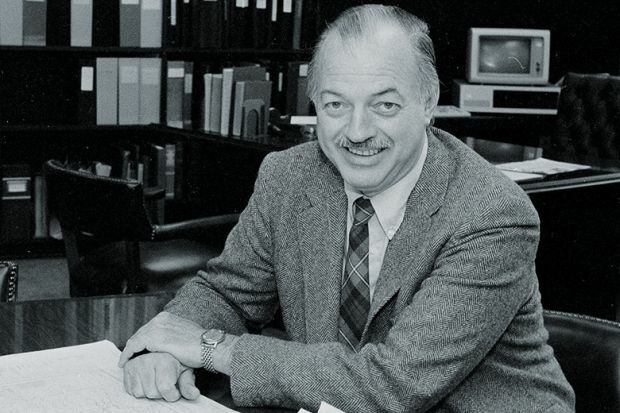 In memoriam: Melford E. Spiro, 94, founder of UC San Diego's Department of Anthropology. NSF highlights research by John Haviland of Anthropology. Haviland is studying the creation of a complex sign language among an extended family of Mayan Indians in an isolated community in highland Chiapas, Mexico. 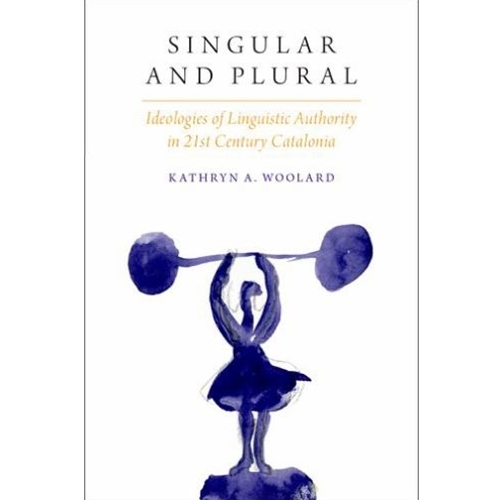 Linguist David Perlmutter and anthropologist Kathryn Woolard have been elected to the prestigious American Academy of Arts and Sciences. 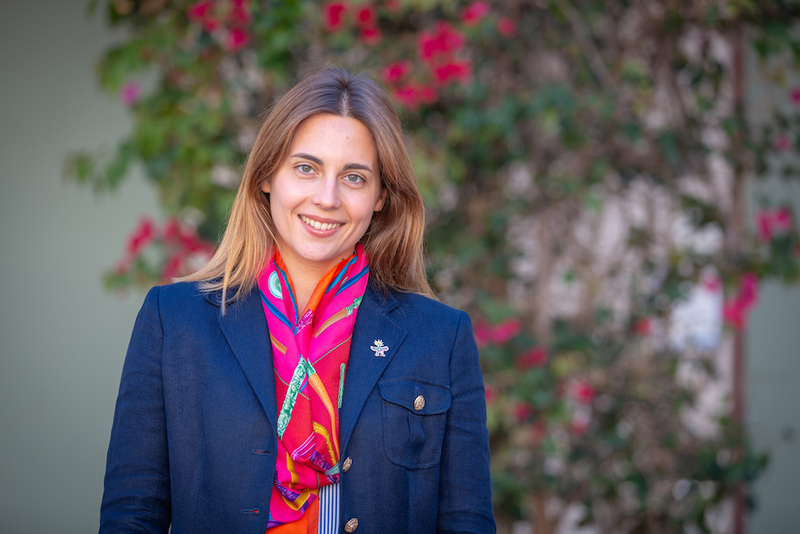 Katerina Semendeferi of Anthropology was featured in the U-T as one of the San Diegans recently named fellows of AAAS, the nation's largest scientific organization. 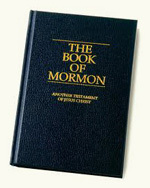 First prize: Anthropology graduate student Jordan Haug has won the National Collegiate Book Collecting Contest for his collection 뷙Mormon Fundamentalism and Polygamy,뷹 which numbers nearly 100 volumes. Katerina Semendeferi of Anthropology is one of 10 UC San Diego faculty named new AAAS fellows, reported UC San Diego News. Geoffrey Braswell of Anthropology tells the Associated Press that the Maya did not predict an apocalyptic end of the world in 2012. Shirley Strum of Anthropology was cited widely in stories about baboon management in South Africa, including Fox News,Cape Times and others. TEDx video: Thomas Levy of Anthropology explains how new visualization technologies have enabled archaeologists to collect, manage and analyze site data. Margaret Schoeninger of Anthropology was quoted in Science on the forest foraging diet of Australopithecus sediba, a possible early member of the human family. Archive Renamed for Anthropologist The late Donald Tuzin of Anthropology helped build a world-class research collection at UC San Diego for the study of the peoples of Papua New Guinea and other island countries of the southwestern Pacific. 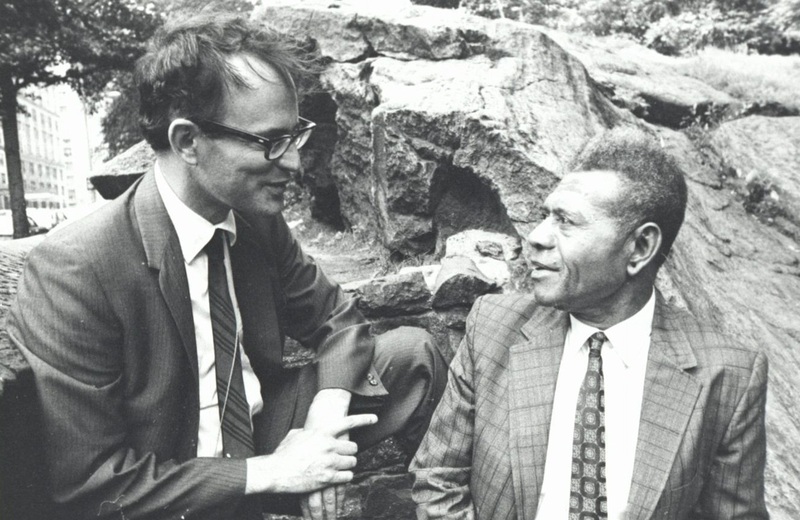 Now, in honor of his leadership and legacy, the collection of materials from one of the most culturally, linguistically and geographically diverse places on earth has been renamed the Tuzin Archive for Melanesian Anthropology. Celebrating the archive붹s 30 years, an exhibit is on view at Geisel Library through June 30. Making of the Modern Human Humans dominate the planet thanks largely to our unique abilities to extract calories and protein from all kinds of animal and plant material. Margaret Schoeninger of Anthropology reviews how food fueled our evolution. Shirley Strum of Anthropology was quoted in a PolitiFact piece debunking the chain joke email that refers to baboons as a 뷙congress"
Carol Padden of Communication and Dena Plemmons of Anthropology have been named fellows of the American Association for the Advancement of Science, the nation붹s largest scientific organization. 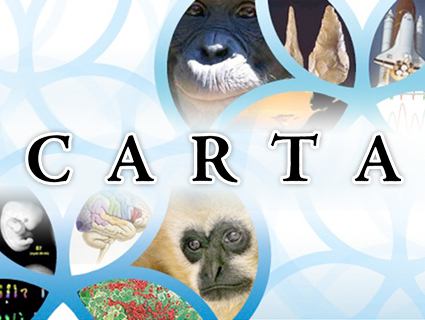 Katerina Semendeferi of Anthropology is one of the leading researchers discussing uniquely human features of the brain as part of UCSD-TV붹s series on the Center for Academic Research and Training in Anthropogeny, or CARTA. USA Today story on Max Planck Institute findings that human ancestors were 뷙mama붹s boys,뷹 with the females moving out of their birth communities and the males staying put, quoted Margaret Schoeninger of Anthropology. Agence France Press story, appearing in Yahoo News, FOX and elsewhere, did too, as did Discovery News andScience News. 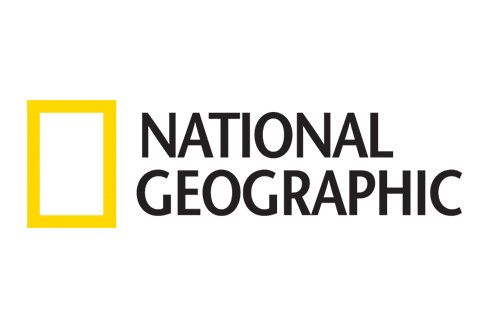 A new television documentary called 뷙Quest for Solomon붹s Mines,뷹 by National Geographic/NOVA, features research by Anthropology professor Tom Levy, showing that extensive copper production took place in Jordan during what is believed to be the Biblical era of David and Solomon. Watch the full episode. See more NOVA. Anthropology Department faculty and a graduate student are using a free Google download to model the ancient Maya city. Two social scientists, Roger Gordon of Economics and Thomas Levy of Anthropology, are among seven faculty members from UCSD to be named fellows of the American Academy of Arts & Sciences. 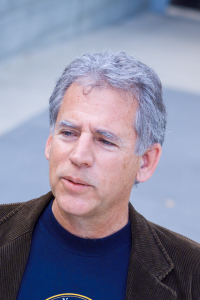 Professor Emeritus David Jordan, Anthropology, has been named a top recipient in the UCSD Alumni Association붹s 30th Annual Awards for Excellence, to be held June 7.